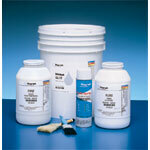 Excellent for a wide variety of applications. For permanent or temporary bonding. 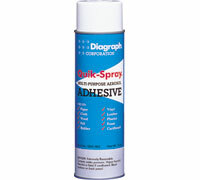 Use Quik-Spray Adhesive on paper,cloth, cardboard, felt rubber, vinyls, canvas, leather, wood and most plastics. Non-clog valve provides uniform spray pattern. Low soak-in; will not bleed throught. Will become translucent when it is dry. 13 oz net weight (20 oz. volume).